Free Transfer from/to Haad Rin Pier. Please contact resort at least 1 day before arrival. All room rates are NOT INCLUDE BREAKFAST. Full Moon Reservation: A minimum stay is 3 nights, and arrival date is at least 1 days before Full Moon date. 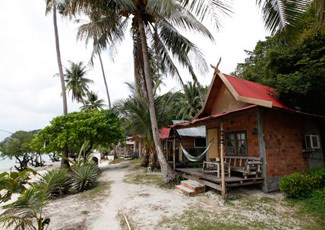 Christmas & New Year Reservation: A minimum stay is 7 nights, and arrival date is before 24th Dec.
Koh Phangan hotels, resorts and bungalows online reservation with special discounts.